The technology and performance of a 150, the sporty lines of the Vespa Sprint, and the unmistakable style of a "special series" Vespa. S FOR SPECIAL: The sporty Vespa Sprint also comes also as a Sprint S, which intensifies its already fiercely sporting spirit with a racey yet understated color. Its seductively simple livery points up the clean and sober lines and adopts a minimalist rigour with its exclusive Titanium Grey coloring, which thanks to the small body recalls the more spinti models of the ’70s. 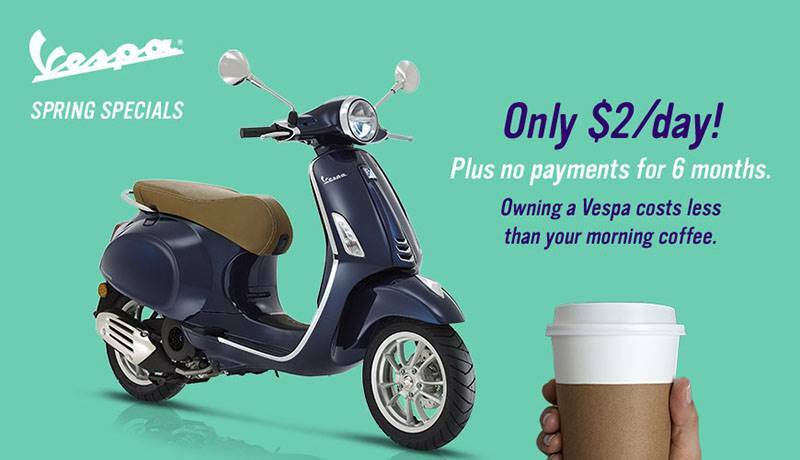 Perfectly in line with the new color is the dedicated graphics, the black saddle, and the large black 12” rims, that make the elegant essence of the Vespa Sprint even more striking.